Here is a recipe that’s been circulating around the internet for awhile now. I honestly have no idea where I originally got it or where it originally came from (if it’s yours, let me know)….but it seems most people know what I’m talking about when I say we are having it for dinner. I also know that there are some variations of it and there’s a crockpot version too! But this is one that I make every so often because I know everyone will eat it, it’s VERY simple and it’s yummy!!! I use Newman’s Own Pineapple Salsa in mine since I’m all for a sweet and savory and the flavor combines nicely with the chicken and cheese, but you can use any kind of salsa you’d like. You can also adjust to your taste…if you like a little more spice, use a spicier taco seasoning. 1. 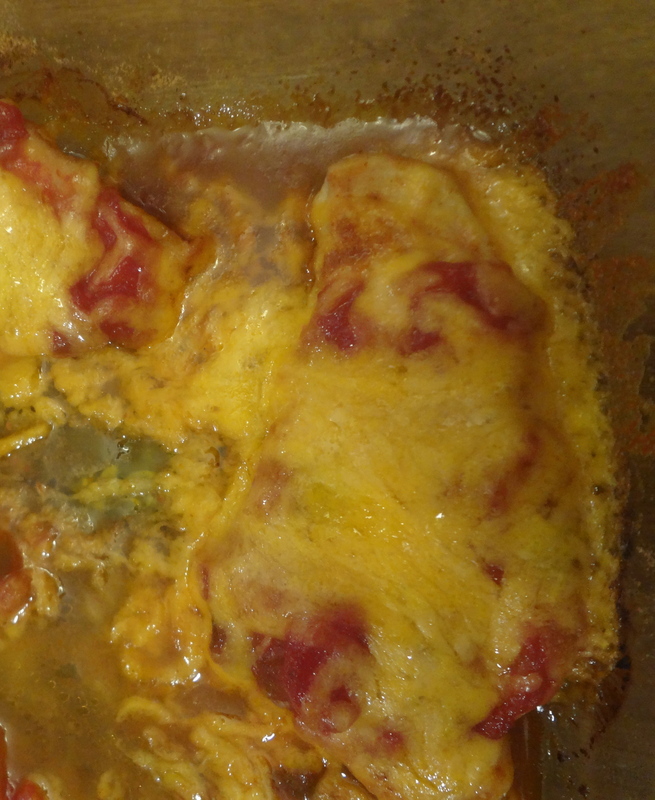 Place chicken breast in lightly greased 9×13 inch baking dish. Sprinkle taco seasoning on both sides of chicken, and pour salsa over it. 2. 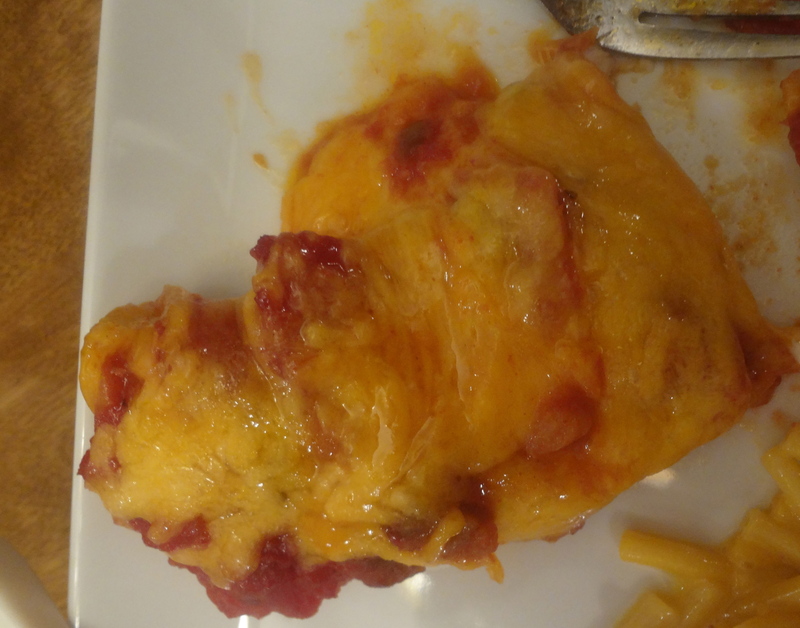 Bake at 375° for 25 – 35 minutes, or until chicken is tender and juicy and it’s juices run clear. 3. Sprinkle evenly with cheese and continue baking for an additional 3 – 5 minutes, or until cheese is melted and bubbly. Top with sour cream and serve.